The new and even more improved series! They are finally here! 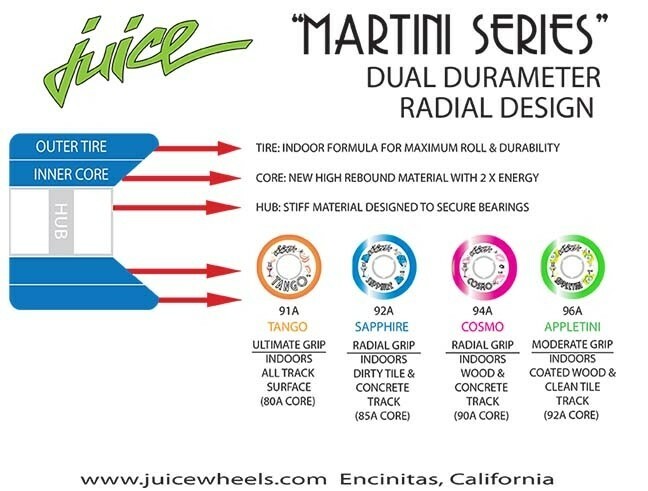 The Martini Series features an inner urethane core, allowing the running surface of the wheel to remain on the floor longer delivering more grip just when you need it most. Compression on your stroke drives energy into the core, and then expends it during the roll, giving you that added punch. 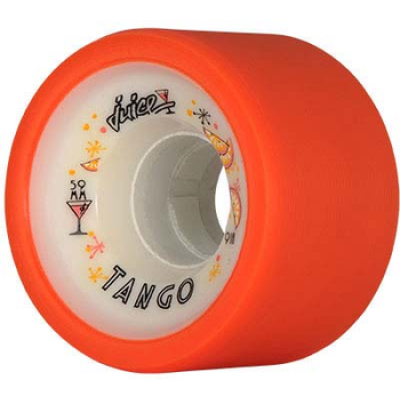 More grip, longer roll, and less wasted energy--that is what Juice Wheels delivers to every player who wants an unfair advantage on the track. Pick your poison... now 4 to choose from!